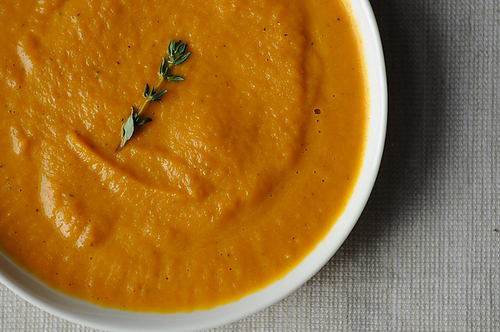 Healthy soup recipes are great for adding some variety to your meal plans. Here are 7 that I think you’ll absolutely love. Check out the labels on cans of soup at the grocery store, and it won’t take more than a few minutes to realize they all have one thing in common: protein deficiency! Even the chicken noodle and beef potato soups are high in salt and preservatives and low in actual meaty deliciousness. But that doesn’t have to be the case when you make soup from scratch. Here are 7 soups with 15 to 50 grams of protein per serving with moderate amounts of carbohydrate and fat as well, and all of which require less than 30 minutes of time in the kitchen. 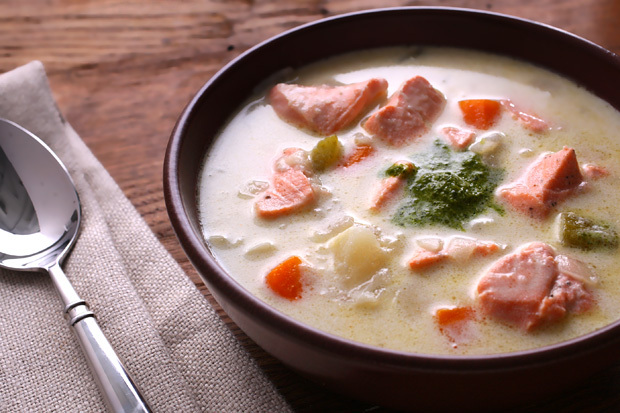 For a satisfying lunch or a rich starter course, perk up bland corn chowder with flaky salmon. Start by melting 3 Tbsp. butter in a large stockpot, and sauté 1/2 cup chopped celery, 1/2 cup chopped onion, and 1/2 cup diced green bell pepper for about 5 minutes, until tender. Add in 1 can (about 2 cups) chicken broth, 1 cup diced potatoes, 1 cup shredded carrots, 1 1/2 tsp. sea salt, 1/2 tsp. freshly ground pepper, and generous 1/2 tsp. fresh dill. Reduce heat once the mixture begins to boil, cover the pot, and simmer for 40 minutes. Stir in 1 can creamed corn, 2 cups half and half (or low-fat milk), and 16 oz. cooked salmon. Heat together for about 15 minutes before serving. This flavorful soup is vegan, yet the lentils provide a good amount of protein. 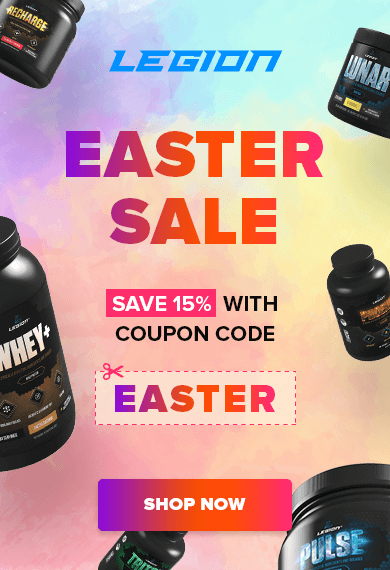 It’s a good option whether you need a pre-workout snack, light lunch, or side for a cut of meat. The night before cooking, soak 1 1/2 cups of yellow split lentils in 2 cups water. More than 8 hours later, prepare the soup by heating 2 tsp. coconut oil in a large soup pot over medium heat. Sauté 1 large onion and 6 large carrots, diced, for about 5 minutes. Continue cooking for a couple minutes with 1 Tbsp. fresh ginger, 2 cloves minced garlic, and 1 tsp. cinnamon. Then add the lentils and soaking liquid, 1/8 cup maple syrup, 4 cups vegetable stock (or beef stock), a bay leaf, salt, and pepper. Bring to a boil, reduce heat, and simmer for a half hour or more. Puree mixture, minus the bay leaf, in a blender or with a hand blender. 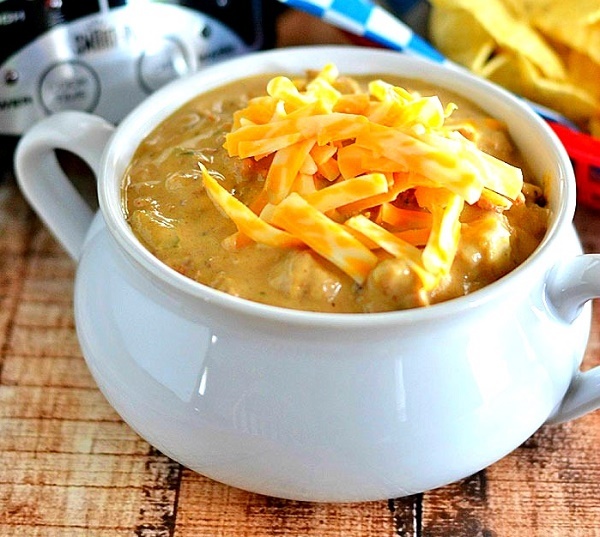 All the flavor of a bacon cheeseburger in a nutritionally balanced soup, and it comes together in a slow cooker? Making soup at home doesn’t get better than that. First, cook a mirepoix – 3 minced garlic cloves, 1 chopped onion, and 3 chopped celery stalk – in 1 Tbsp. olive oil in a skillet over medium-high. Once the onions are translucent, add the mixture to the slow cooker. In the hot pan, brown one pound of lean ground beef (or turkey, for less fat), drain, and transfer to the slow cooker. Then cook 4 strips of thick-cut bacon, crumble over a paper towel, and add in with the veggies and browned beef. Whisk together in a small bowl 1/2 cup chicken broth with 2 Tbsp. whole wheat flour. Once lump-free, pour the mixture into the warm skillet, and add 2 1/2 cups more broth. Stirring constantly, bring the mixture to a boil, and once thickened, add it into the slow cooker. Add 12 oz. low-fat evaporated milk, 1/2 tsp. paprika, 1/2 tsp. garlic powder, 1 1/2 Tbsp. Worcestershire sauce, 1 Tbsp. mustard, 1/4 tsp. salt, 1/8 tsp. freshly ground pepper, and 8 oz. low-fat extra sharp cheddar cheese. Stir well, and cook for 2 hours on low. 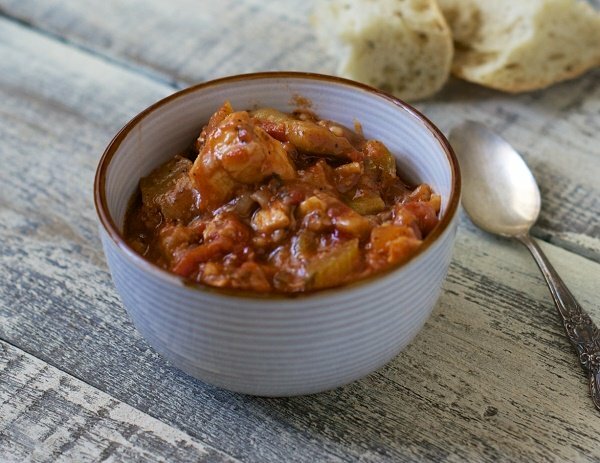 This hearty stew is comfort food even though the flavors are far from home. Blend together 2 tsp. fresh ginger, 6 garlic cloves, 4 chopped cilantro stalks (stems and all), 4 sliced green onions, and 2 seeded, diced hot peppers in a food processor until the mix turns into a paste. Add in 1 Tbsp. ground coriander, 1 tsp. white pepper, 1 tsp. ground cumin, and a pinch of cloves. In a large Dutch oven, heat 1 Tbsp. peanut oil over medium-high heat. Brown 3 lb. cubed pork shoulder in three or four batches, and once finished, toss all in the pan with the paste, stirring regularly for 4 minutes. Stir in 5 sliced parsnips, 1/3 cup fish sauce, 1/3 cup packed brown sugar, and 2 cups water. After bringing to a boil, reduce heat and cover; simmer for at least a half hour, or until pork is tender. To thicken the stew, prepare a mix of 2 tsp. cornstarch and 1 Tbsp. water in a little dish. Over medium-high heat, remove the cover from the pot and add the cornstarch mixture. Boil for 1 minutes. Spoon stew into bowls, and garnish with 1/4 cup fresh chopped mint leaves. A versatile dish bursting with Persian flavors, this can be served with or without rice, and it can be made simmering in either a slow cooker or a big pot on the stove. Begin by browning 2 lbs. 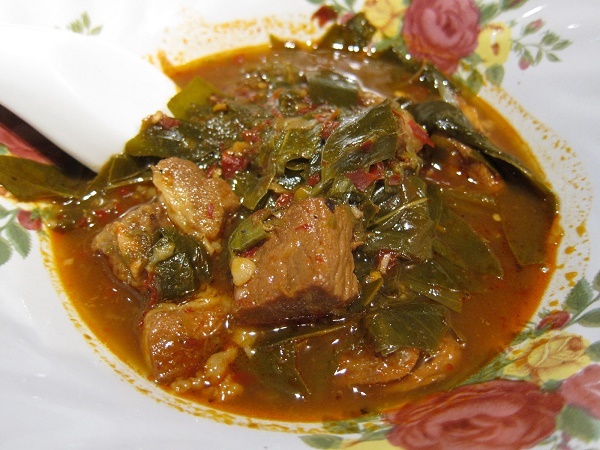 of cubed stew beef (or lamb) in a large pot in 3 Tbsp. of olive oil. Once seared, remove the meat, and add 2 finely chopped onions to the pan to cook for 6–8 minutes, until light brown. Move the meat and its juices back to the pot. Add 1/2 tsp. turmeric, 1/4 tsp. cinnamon, 2–3 Tbsp. tomato paste, 1/4 cup lemon juice, salt, pepper, and water to halfway cover the beef. Stir to combine, and keep over medium heat until simmering. 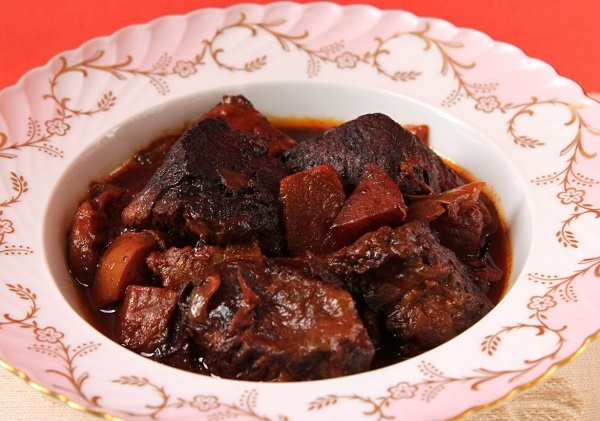 Just as it caramelizes, add 2 cored and cubed quinces, a handful of prunes, and 3 Tbsp. honey, stirring well. Cover the pot, and let simmer slowly over low heat for three hours. Check from time to time, an add water if needed. This is a lean, quick-to-prepare meal that’s suitable for almost any diet. There’s no excuse not to eat well when it’s this easy and delicious. First, sauté 1 diced medium onion in a large pan with 1 Tbsp. olive oil. After about 3 minutes, before the onions brown, add 1/2 cup white wine, and scrape the bottom of the pan with a wooden spoon. Add 1 can diced tomatoes (or 6 Roma tomatoes), along with a pinch of white pepper, and bring to a simmer. Cook for a few minutes, then add 2 cups vegetable broth, 1/3 cup ground onions, and 2 cups chopped bok choy. Stir occasionally for a couple more minutes, and once the leaves begin to wilt, add 12 oz. of cubed halibut filets. Cook for 4–5 minutes, until the fish is opaque. 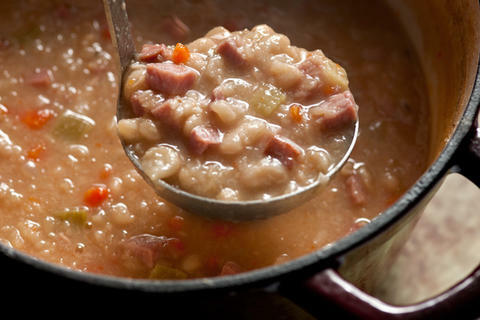 This is a standby soup that’s cheap yet satisfying, and it’s a great way to use up leftover ham. The night before, cover 1 lb. dried cannellini beans with at least 3” of water to soak for at least 8 hours. Drain before preparing soup. In a large Dutch oven or heavy-bottomed pot, pour in 3 1/2 quarts (14 cups) of water, and place 1 lb. ham hocks (or smoked ham bone) to begin to a boil. Simmer uncovered for an hour over medium heat. Add soaked beans and 3 fresh thyme sprigs, and continue simmering, stirring occasionally until beans are tender but not soft in the center. It will take about an hour. Dice 2 carrots, 2 celery stalks, and 1 yellow onion. Add to the pot on the stove, and sprinkle in about 1 tsp. salt. Continue cooking for about 40 minutes. Turn off the heat, and transfer ham hocks to a cutting board to remove the meat. Lightly mash the beans and vegetables, keeping some intact, and add back in the sliced ham meat along with 8 oz. fully cooked smoked ham. Season to taste with salt and freshly ground pepper, and serve. What did you think of these healthy soup recipes? Have anything else to share? Let me know in the comments below!